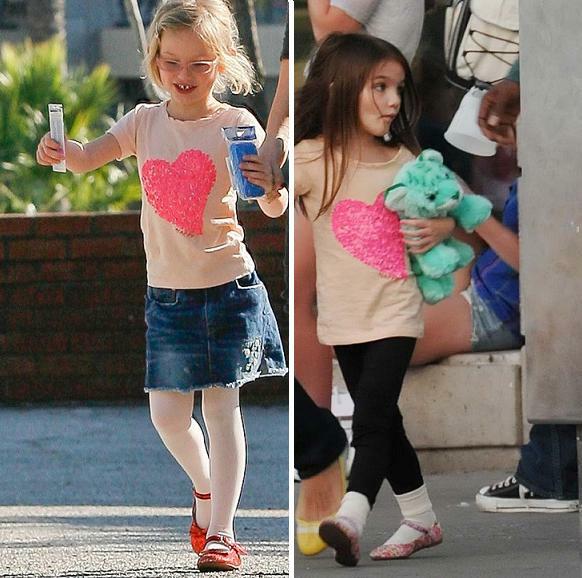 Suri Cruise Clothes Blog: Which Hollywood Kid Wore It Better? Which Hollywood Kid Wore It Better? It seems Hollywood parents have their favorite stores for themselves and their kids. And it seems that the likes of Katie Holmes and Jennifer Garner are quite similar to the time of dressing their lovely daughters ..... both are fans of J.CREW. Both looks cute but I still go with your Suri. I think both are looking cute but I still also go with Suri, She is same looking innocent doll.